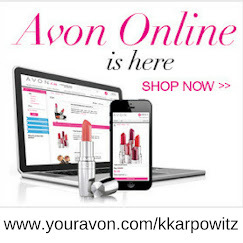 Love Yourself Beauty Online: Now That I've Become an Avon Rep, What's Next? CONGRATULATIONS on joining my Avon team: Elite Beauties and deciding to become an AVON Independent Sales Representative! You have now begun this wonderful journey of helping others learn to love themselves from the inside out! 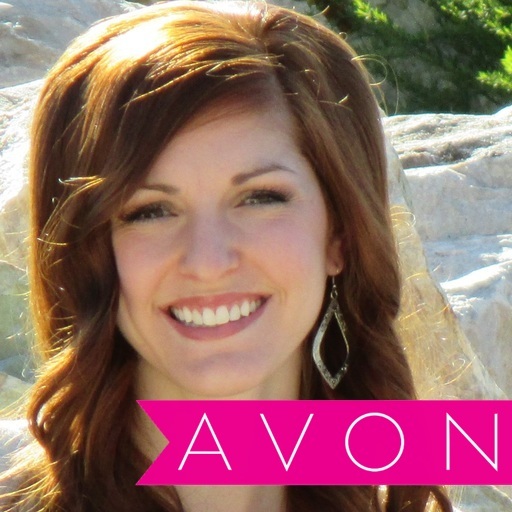 I am so glad to have you on my Avon team! I will receive your information shortly and will contact you with the information you need to begin your beautiful journey on the Avon Team: Elite Beauties! 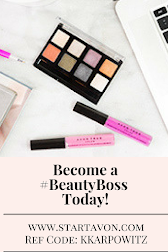 In this e-mail I will also provide you with my contact information so you can contact me with any questions you may have about selling AVON and becoming the BEST AVON Rep you can be! Now that you have started you are probably wondering WHAT’S NEXT? All the tools you need to get your AVON business off to a great start! -2 full-size products-For you to use (or sell) and share your results with others! Become a walking billboard for your Avon business! 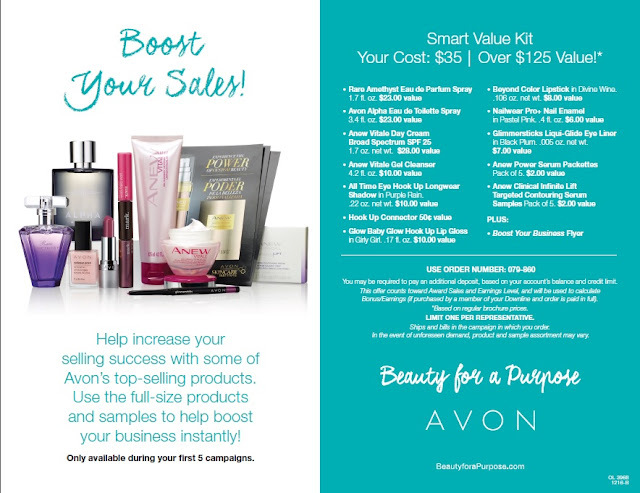 Unleash your Avon selling potential with the Smart Value kit! - Boost Your Business Flyer to aid you in succeeding with your Avon business! 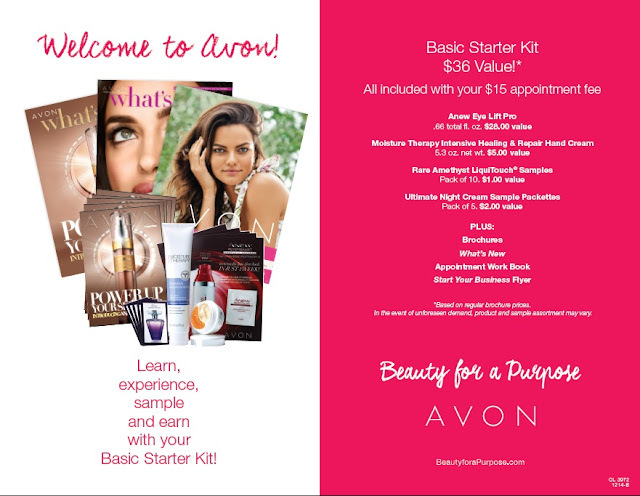 The Deluxe Starter Kit is designed to help get you set up to deliver big sales from the time you become an AVON Independent Sales Representative. 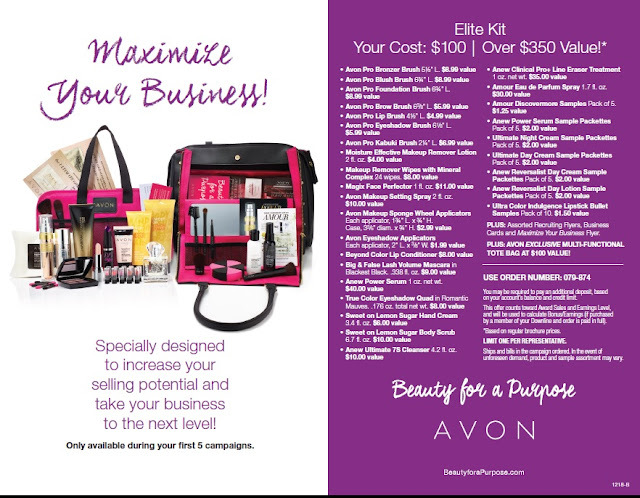 After I purchased my Elite Kit I sold some of the products to increase sales as well as used products to create my own testimony and become a walking billboard for my Avon business! -Assorted Recruiting Flyers to build your own Avon team and benefit from all the avenues Avon has to offer! -Maximize Your Business Flyer to help you increase your sales! Q: When will the Smart Value Kit be available to order? A: The Smart Value Kit will be available to order in Campaign 19 2015 National (Campaign 21 Trendsetter). Q. How long will a new Representative be able to order the Smart Value Kit? A: New Representatives will be able to order the Smart Value Kit during their first five (5) Campaigns as an Avon Representative. Q. How does a new Representative order the Smart Value Kit? A: The Smart Value Kit is available to purchase on yourAVON.com. Q. When will a new Representative receive their Smart Value Kit? A: The Smart Value Kit will be shipped and billed in the campaign it is ordered. Q. How many Smart Value Kits can a New Representative purchase? A: Limited to one per Representative. Q. How much does the Smart Value Kit cost? Q. Does the Smart Value Kit count as an order? Q. 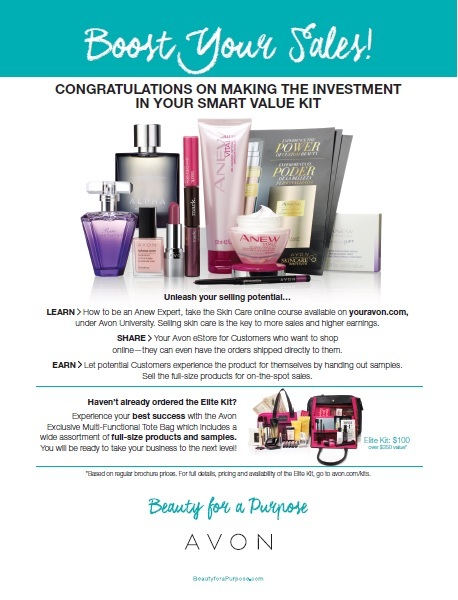 Does the Smart Value kit count towards award sales and earnings level? A: Yes, the “Your Cost” price of $35.00 counts toward award sales and earnings level. Q. Does the Smart Value Kit count towards Representative’s Credit Limit? A: Yes, the “Your Cost” price of $35.00 will count towards credit limits. Q. Will Sales Leaders receive bonus/earnings on the Smart Value kit? Q. Can Sales Leaders and/or existing Representatives purchase the Smart Value Kit? A: No, the Smart Value Kit can only be ordered by a New Representative within their first five (5) campaigns of selling. Q. Will the products and/or samples in the Smart Value Kit change? A: In the event of unforeseen demand, product and sample assortment may vary. Q. What is the value of the Smart Value Kit? A: The exact value of the Smart Value Kit may vary from time to time due to product and/or sample availability. However, it will always have a value of over $100.00 USD. Q: When will the Elite Kit be available to order? A: The Elite Kit will be available to order in Campaign 19 2015 National (Campaign 21 Trendsetter). Q. How long will a new Representative be able to order the Elite Kit? 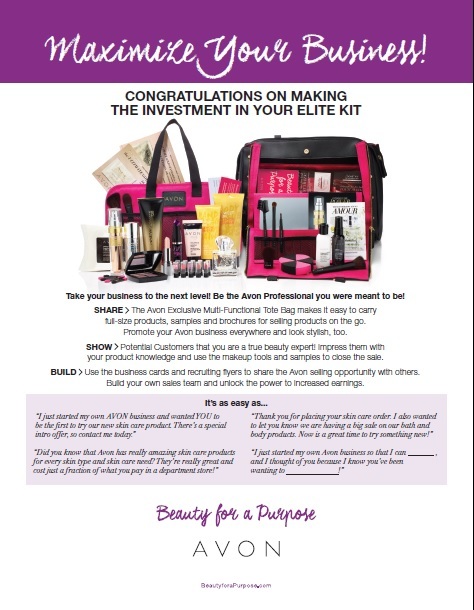 A: New Representatives will be able to order the Elite Kit during their first 5 Campaigns as an Avon Representative. Q. How does a new Representative order the Elite Kit? A: The Elite Kit is available to purchase on yourAVON.com. Q. When will a new Representative receive their Elite Kit? A: The Elite Kit will be shipped and billed in the campaign it is ordered. Q. How many Elite Kits can a New Representative purchase? A: Limited to 1 per Representative. Q. How much does the Elite Kit cost? Q. Does the Elite Kit count as an order? Q. Does the Elite Kit count towards award sales and earnings level? A: Yes, the “Your Cost” price of $100.00 counts toward award sales and earnings level. Q. Does the Elite Kit count towards Representative’s Credit Limit? A: Yes, the “Your Cost” price of $100.00 will count towards credit limits. Q. Will Sales Leaders receive bonus/earnings on the Elite kit? Q. Can Sales Leaders and/or existing Representatives purchase the Elite Kit? A: No, the Elite Kit can only be ordered by a New Representative within their first five (5) campaigns of selling. Q. Will the products and/or samples in the Elite Kit change? Q. What is the value of the Elite Kit? ***Value based on regular brochure prices of items sold separately. Now that you know what EXCITING bundles will be landing on your doorstep here soon, you’re probably wondering HOW MUCH WILL I MAKE SELLING AVON? How much will I make selling Avon? Your earnings depend on one thing, YOU! 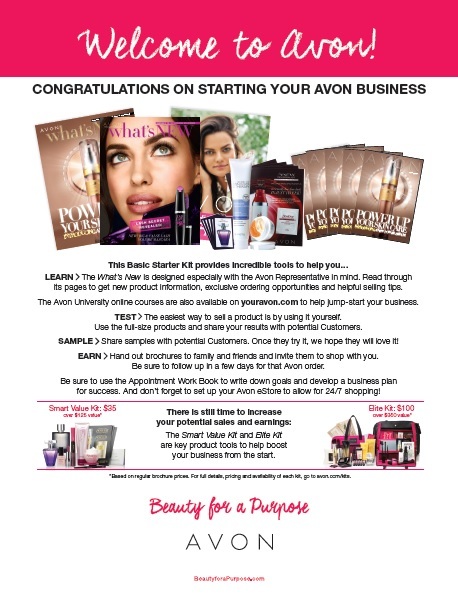 You now are a business owner and have FULL CONTROL of how you want to run your Avon business! Many Avon representatives have said that your earnings reflect your efforts! I can’t express how true this is! 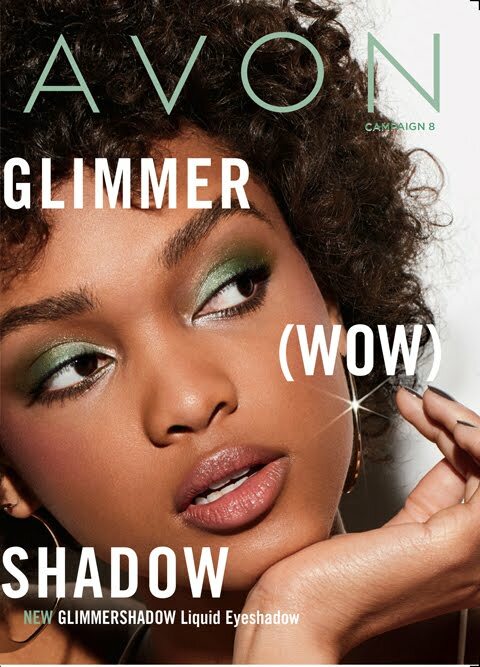 (Tips To Sell More Avon) I see this Avon selling tip in my own Avon business today! Plus, the demos, sales tools, samples, and brochures purchased by you, the Avon Representative, count toward your campaign total order and your credit limit. **This chart is based on Direct Deliver orders that are shipped directly to your Customers. *Select products offer maximum of 25% earnings on products for Avon Reps who have become President’s Recognition Program members and 20% for all other Avon Reps.